Her products are at the top of the line of organic beauty, the pioneer in natural skincare reveals her routines and secrets. Your motivation for launching Tata Harper ? My stepfather was diagnosed with cancer, and I learned from his doctors that exposure to synthetic chemicals in the products he was using was a contributing factor. I started making the switch to an all-natural lifestyle, and couldn’t find skincare products that were both pure and effective, so I decided to create them myself. What is the best cleansing routine at night ? Why it is so important ? Cleansing at night is so important to get rid of all of the buildup on your skin from the day, especially if you live in a city and are really exposed to aging environmental aggressors like pollution. I like to double cleanse with the Nourishing Oil Cleanser followed with the Purifying Cleanser for a really deep clean. What do you think about cleansing in the morning ? Is it better to skip it ? I always exfoliate with the Regenerating Cleanser in the morning - it’s really key if you want glowing skin to remove the dead skin cells, oil, and other build up. What is your daily beauty regimen ? Your weekly routine ? In the morning after exfoliating, I saturate my skin with Hydrating Floral Essence, then apply my serums : Elixir Vitae Eye Serum around the eyes, Elixir Vitae on my face, and Boosted Contouring Serum on my neck. Then I use the Illuminating Moisturizer and Illuminating Eye Creme for extra glow, and finish with the Retinoic Nutrient Face Oil for an extra, age-defying hydration boost. At night I double cleanse, then use the Concentrated Brightening Essence before my serums. 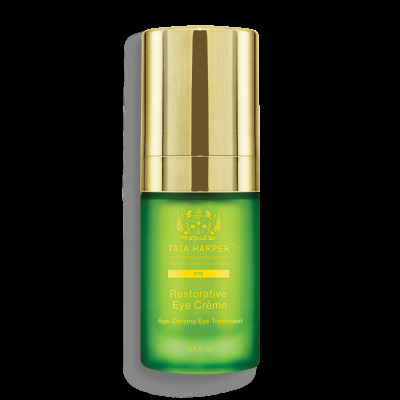 I use the Repairative Moisturizer and Restorative Eye Creme for hydration. I like to finish with the Boosted Contouring Eye Mask, and the Moisturizing Mask if I’m feeling extra dry. I’ll use a mask a couple of times a week. I like to multi-mask with the Resurfacing Mask on my whole face, the Clarifying Mask in my t-zone, and Moisturizing Mask on my neck. What do you do if you have a spot ? I apply the Clarifying Spot Solution throughout the day and night. What is your make-up for the day ? for the night ? I don’t wear a lot of makeup. I like to wear the Illuminating Eye Creme and Moisturizer for extra glow and a polished blur effect, and I use Very Naughty Volumizing Lip and Cheek Tint on my cheeks. 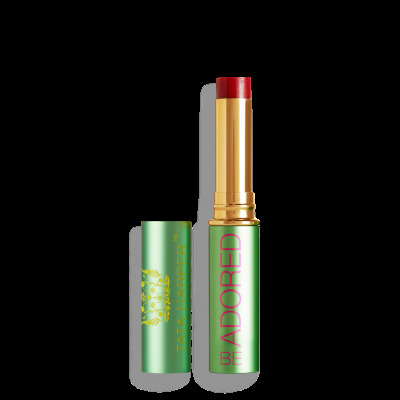 I finish with be Adored day and night. If I have an event, I’ll add a bit of W3ll People Mascara and RMS Eye Polish in Solar. What do you use for your body ? 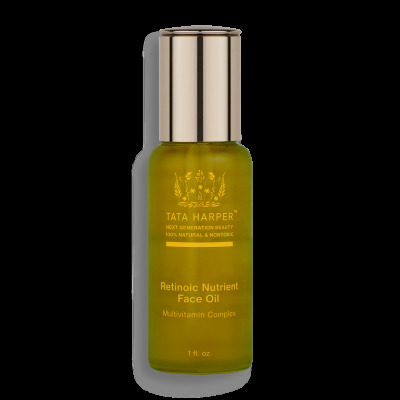 I love the Revitalizing Body Oil - I even use it in my hair as a conditioning mask. I use it regularly, and a few times a week I do full body exfoliation with the Smoothing Body Scrub on dry skin. 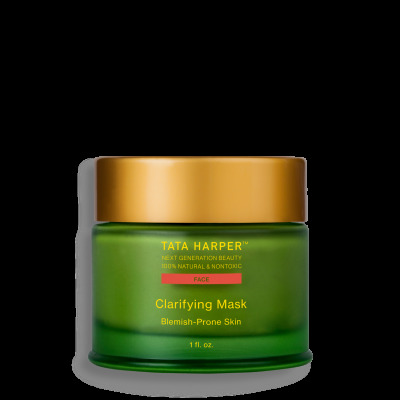 What are your Tata Harper favorite product ? Elixir Vitae - it’s my desert island product. What is your make-up tip ? Makeup is great, but so many women only do a few skincare steps and spend 3 times as long on makeup. I always recommend focusing more on your skin so it looks amazing without needing so many makeup layers. Do you have a special beauty tip ? Don’t look at skincare as a chore or a luxury you’re not entitled to - it’s a way of taking care of yourself and making yourself look and feel your best. You’ll be amazed at how good you’ll feel just by giving yourself those 5 or 10 minutes at the start and end of every day. Do you have a beauty DIY recipe ? I love to make my own DIY eye tea with dried herbs - I like lavender, chamomile, calendula, and arnica. After I brew the tea I freeze it in an ice cube tray, and use the cubes as a soothing treatment for tired, puffy eyes. Do you have a special beauty recipe (like a detox recipe) ? I love taking baths, and it’s one of my favorite ways to detox. I always add Epsom salt - the sulfates in it help flush toxins from your body and soothe and soften skin - and an essential oil blend to suit my mood. Do you have a tip for the women in hurry but who like to be pretty ? Don’t skimp on skincare! I’m a working mother of three, and I’m always able to fit in my skincare - and it takes me less than 10 minutes to do my whole routine. Nothing speeds up your prep time more than skin that already looks healthy, beautiful, and glowing. What do you always have in your bag ? Aromatic Stress Treatment, Hydrating Floral Essence, and Be Adored. What is the future for Tata Harper ? What is your future product ? SPF has been one of our most requested products - we are working on it!